Dakine has partnered with Stereo Skateboards for their latest skate collection of bags and softgoods. Follow the guys from Stereo as they put these new items to the test out in the streets and skateparks of So Cal. 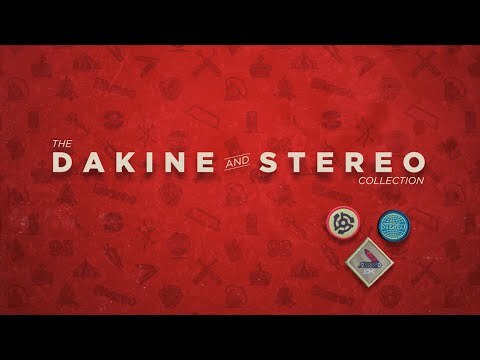 The Dakine X Stereo collection is available at better retailers now! Chris Pastras, Steve Saiz and friends test out Ssippi and Clint Peterson’s new driveway quarter pipe for a Presidents Day session and BBQ. Krooked’s newest drop is here with all new Dos Lunas Gonz Decks, pro one-offs from Drehobl, Worrest, Mike Anderson, A Pro Schmoo for Cromer, plus two new guest decks from Mat O’brien and Dune. Go “Diggin in the Crates” with an excerpt from Stereo’s 2008 Promo video “Agency Field Report” with Chris “Dune” Pastras, Clint Peterson, Carl Shipman & Matt Rodriguez. Next we follow Yoshi Tanenbaum to PA to skate the massive compound at Woodward In Volume 23 of Stereophonic Sound.